This Premium vent free firebox is for use with vent free gas log sets and requires no venting. Most 24" vent free log sets would be fit this unit. 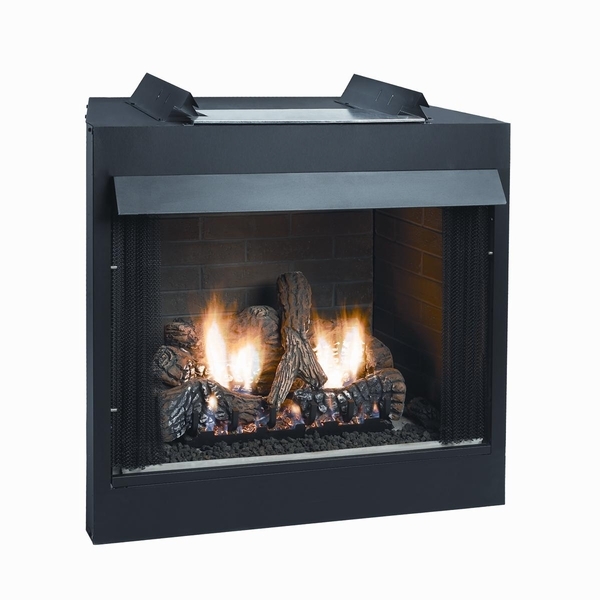 The construction of the firebox features hem-bent seams that eliminate unreliable screws and fasteners. The unit is light and easy to install. It comes with a matte black hood and a banded brick ceramic fiber liner. The dimensions of the firebox are 41 1/8" H x 39.5" W x 21 7/16" D and it requires framing dimensions of 41 5/8" H x 40" W x 21" D. A 5-year limited warranty is included.